Edith loves to grumble throughout the most festive time of year - Christmas. 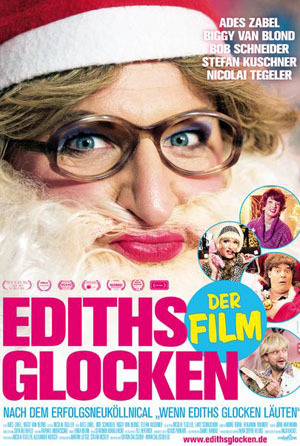 So, Edith's best friends, Biggy and Jutta, manage to persuade her to spend a cozy South Berlin Christmas Eve together in this "drag-tastic" holiday comedy. A roast goose from the gas station, a cheap sour red wine, a red cabbage in a most beautiful white color and an unidentifiable brown sauce...the dinner is a disaster. Edith tries to remain positive even after Jutta decides to replace her small Christmas tree with her big "artsy" white tree. And Biggy, the leopard dressed blonde, gets a surprise visit from her mother and daughter and ends up being forced to have her daughter spend Christmas Eve with her. Even though this holy night doesn't seem to have a chance for being cozy and relaxed, the friends manage the chaotic circumstances and wind up celebrating a slightly different Christmas.